Episode #9 brings us to cryptotrading as we discover the story of one prominent figure, Koning Karel (or King Karel). Despite the relatively short experience in day trading with digital currencies, our anonymous guest has ridden the wild swings of the “first great bubble” in crypto and managed to preserve and grow his capital. Without further ado let’s dive into the Trading Depth interview with Karel. Please, tell us a little bit about yourself as a trader and how you started (what you feel good about sharing — we’ll keep your profile anonymous). You said it’s been one and a half year: what was the motivation behind it and what is your focus now? Back then a few roommates of mine started talking about BTC (Bitcoin) and just came across Ethereum (ETH). I got into Ethereum when it was around $13, which was right after the DAO hackhappened. Not knowing anything about the space, but being advertised as a bitcoin* but with programmable functions, it immediately sparked my interest. Most people have heard about how parabolic bitcoin went at some point, so my thinking was that if it would even get a tiny bit of hype, it could spark a nice run and thus I jumped in. I wanted to make sure that when I get in, it would be for such an amount that I wouldn’t regret if the price went x10.And I never looked back. For the first half year, I was just following the news, looking at charts and starting out with a bit of basic TA, drawing trend lines and triangles since I’ve always had interest for the market. Trying to rationalize why the price was moving as it does, what it was reacting to and trying to get a feel for it. Initially I was basing most of my stuff on fundamental analysis, with thoughts like “hmm, if ether (ETH) has a lot of possibilities, and BTC is capped on 2 or 3 tx/s (transactions per second), then ETH should gain a portion of Bitcoin’s market cap (capitalization)”, which was around the time I made an account on Poloniex and opened my first low leverage long position. I didn’t really know what I was doing and if my understanding of bitcoin and its transaction output was actually correct. There were some coins (cryptocurrencies) back then getting huge pumps, stuff like DASH for example, while the fundamentals weren’t good enough for me to rationalize such a pump. That was the point I realized there was a lot of money to be made and that it’s hinging on more stuff than fundamentals, a trendline, and just some Fibonacci retracement, which fueled my interest more and more. Soon, I was looking at charts all day, searching as much info as possible and trying to build a plan on that. It was based mostly around indicators and diagonals, which worked out well since everything was going up anyways back then. At that time cryptocurrencies exploded. Yeah, it was crazy. I was still working at a logistics side job back then for 16h/weekend since it paid double, but after sitting at work and seeing stuff like Stellar and Ripple go up double digit %’s on Sundays it got to the point that working there had a bigger opportunity cost than it gained me, since I figured making a few hundred bucks if stuff went up 10+% on a day wouldn’t be too hard. So I took the leap of faith, cashed some profits out from some nice BTC runs, put that aside to cover living expenses for a few years and here I am: giving myself 2 years to prove that I can do this consistently and improving every day. Yet, at the time I got into crypto things were pretty uncertain. Ethereum Alliance wasn’t around, there were a lot more questions about adoption and future growth but I still felt like “alright, this might be a good gamble” and put a portion of my capital into ETH. After a while, I started trading with a certain percentage of my portfolio. You mentioned gambling. How did you transit from crypto investing to crypto trading? There are two approaches: fundamental and technical. I thought that perhaps I could take 10-15% of my portfolio and try something else (trading). I looked up some tutorials for analysis and started with that, although in the beginning I paid more attention to fundamentals. Did you learn the philosophical background for crypto, like decentralization? Do you even care about it as a trader? First, I didn’t know anything about it. I just read a bit about it. I’m doing my major in Information Management, and when blockchain began to be mentioned in my program, I realized how big it could become. Let’s talk about trading more. What platform do you use for trading bitcoin? For Bitcoin, I like BitMEX. It offers leverage and it’s semi-stable. It got better over the years. I also use TradingView in combination with BitMEX while sometimes trading on BitFinex or Poloniex. For forex, I’m using MT4 (MetaTrader 4). Aha, so you trade forex as well? Yeah… As I learned more about technical analysis, I got interested in trading various instruments. In some way, a chart is a chart and price action is price action. In the end, it only matters if the price moves, because volatility brings opportunities. Forex gives a viable alternative when crypto hits low volatility periods and when it’s going sideways since forex offers quite some pairs to choose from. Crypto is somewhat correlated, so forcing trades there isn’t always the best option for me. So even if crypto doesn’t give the right opportunities, I will still continue to trade other instruments. As a young trader, what challenges do you encounter and how do you tackle them? Lack of experience and my stubbornness… When starting out, the lack of experience can give one quite some uncertainty, but at the same time a misplaced confidence. 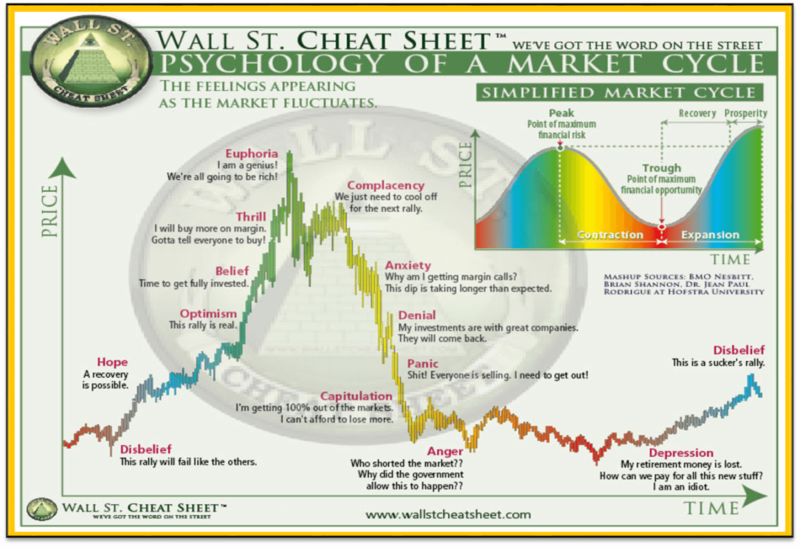 I think a lot of people who started trading crypto in the bull market of 2017 can relate to it since it didn’t matter too much what you were using to build your trading plan: in the end, everyone was making money in the months of euphoria. While it was a nice boost to one’s portfolio by just buying the dip and selling the green days, this infamous #hodl mentality can cause quite big losers when the market starts a reversal. This is also when the uncertainty comes: the plan you were using all that time stops working as well as before. Combine it with being stubborn and it can damage you quickly. Therefore, the lack of experience in market cycles and their force and longevity can be a killer if you don’t adapt your plan. I think the only way to tackle these problems is to accept your losses as long as you have learned something from them. I would rather take a few losses by trying some stuff out by myself, instead of copying someone else’s trade and making some money. As I know I’m learning something, I will avoid the same kind of mistakes when encountering a similar situation. The thing is, everybody tells you about the pitfalls of trading, risk management, overleveraging, cutting losses but sometimes experiencing these actual losses is needed to have the drive to change it. For me, that doesn’t matter, as long as you don’t fully blow up (all of) your accounts. 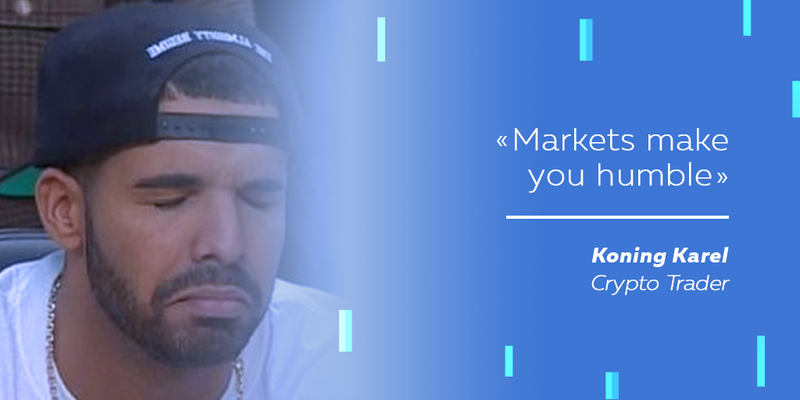 Markets make you humble. There’s not much place for arrogance, ego, and bias because they will burn your profits. This made me realize how big of a mental game is behind trading and that was the part I needed to work on. The simplest way for me to realize that was by just pulling out a piece of paper, folding it by half and putting ‘rational/emotional’ on each side. For every time I was taking a trade, I made myself write it on the correct side of the paper to help me with the right decision. This showed me that the performance of my rational trades was higher than the emotional ones, which made it clear that I had to work on the emotional aspect. Do you think fundamental sciences are important to trading? Like math or social psychology? If yes, how do you use this knowledge? Yes, social psychology can be important and is exactly what makes Twitter an interesting place for gauging sentiment for the markets. Crypto is pretty active on Twitter and is a place where people show their emotions in various ways. In fact, the market doesn’t like crowded trades, so when someone posts a poll whether this is bottom or not, it sometimes amazes me how well you’d perform when countertrade the majority of the answers to these polls. When you start out and buy near the top of a certain chart thinking it’s going to explode, only to realize having made the worst trade ever, you begin to avoid the so-called euphoria. One can sense those moments and make a countertrade. The Wall Street Cheat Sheet has been posted over and over, but to me, the main takeaway is that when everyone claims stuff is bad and the belief is gone, that’s where the reversals and best buys are made. What are you proud of in regard to trading? The thing I’m the proudest of is creating a situation in which I can give myself an actual chance to give this thing a serious shot. Once I made some money on trading, I cashed parts out to be able to sustain myself for a few years. Even if stuff would go down the drain, I’d always have parts of my cold storage/investments for the long term which I wouldn’t touch. So there wasn’t any pressure of ‘if this doesn’t work out, I’m in need of money’. Don’t put in more than you can afford to lose is being passed around a lot, but that also helps reduce the emotional stress behind your trades, since you can’t really force this stuff. Once I started doing this more and more and contemplated to jump in this for an income, I made it clear to myself that as soon as one sees it as an income, he should treat it as a job. That’s around the time when I started renting an office in town to do my work, so I wouldn’t be at home all day and at the same time creating a serious working environment as a stimulation. I’ve always enjoyed doing this, there are some inevitable strings of losers/drawdowns, but I’m proud of my perseverance to really wanting to make this work and just really wanting to figure out how it actually works. 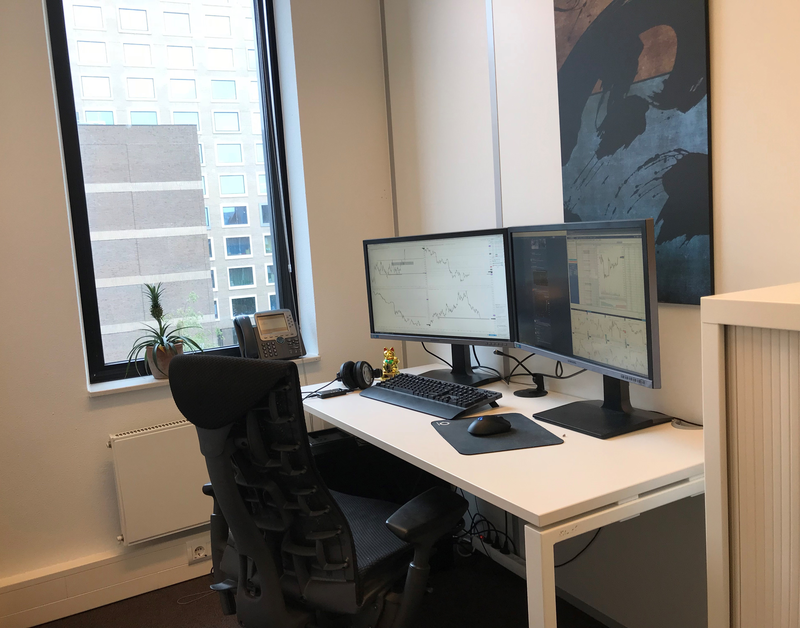 I think that drive helped me appear where I am today, analyzing and reviewing 12h+ of trading a day is paying off now and I’m happy I stuck to this. What is your long-term goal for trading? In other words, do you know when to stop or will you always trade? That’s actually a good question. It depends on why you are into trading. Personally, I wanted to learn it and prove to myself that I can do it. My goal is to do it for a few more years and take as much from it as possible. The more you do it, the more consistent you become and the less stress you receive. I think this is an ongoing process which becomes a part of your life in which you have to accept the ups and downs. I don’t know where I’ll be in five years but I don’t really see myself outside the market. Do you think that your educational background allowed you to be so stubborn and dedicated? Not necessarily my education but rather my personal identity. I always aimed to not end up on a 9-to-5 job. I’m not saying I never will try it — there are some nice sides to it, — but I don’t want to rely on external factors and other people for the stuff I want. Yeah. When I was 16, I started playing poker. When I was 18, I started playing poker online just to have some extra money. And if you don’t use the money as you want, what is the actual value of it then? I invested it by playing poker, I got some more. It is also the reason I got into crypto in the first place: to have a risk on investment for the long term which could have a high upside potential. We see that large companies attempt to obtain ETFs on bitcoin. How do you think it’s going to affect the market? That’s quite a big question. I think in a long-term blockchain as a technology will remain. So will some big cryptoassets, including Bitcoin. At the same time, a lot of big players get in and we don’t know what price will be optimal to satisfy the demand. One thing I do know is that we see a lot of investments in building crypto infrastructure in the form of exchanges and dapps aimed at retail users and investors. This to me signals that a lot of big parties are getting involved to make something big out of crypto and that they will benefit from the price going up. I don’t think there are many assets that can be sold to the general public as easily as crypto, and due to its relatively low market cap overall it can be pumped up more cheaply than other assets and pull new people in. While fundamentals play a major role, I heard from a lot of people on the initial big runup that they were buying sub 1$ coins ‘just because they were cheap’ and not really caring about the product. To me that’s just how human beings work, wanting to get rich easily, an emotion that gets triggered whenever price moves up. For that exact same reason, I think we’re going to see a similar run at some point since people will jump in once again when they see those kinds of gains again. What are your tips on trading crypto? I know, a lot of people keep saying this, but it takes time and a lot of staring at charts. Debrief your sessions, look at the logs of sessions to truly understand why does it happen. This drives your thinking about the market and learning more about it. As for the best approach, price action works best for me, but not necessarily for you. Risk management, overleveraging, all these things have been mentioned often too. What I can add from my experience, stay consistent and avoid being perfect. I’ve talked to some people who’ve been doing it for a longer term, and they say that consistency drives confidence. And when you are confident in your trades, your results improve. On the other hand, when you try to do it perfectly, you can get stopped out more often which can harm your confidence more than the perfect entry does you good. This is crypto specific (and resembles swing trading). When you traded bitcoin and started to lose a trade, didn’t you think that you could just hold it until the price recovers and reaches favorable levels? In the beginning I decided that I am going to trade 10-15% of my portfolio. If the trade went wrong, I always had a backup investment left. This reduces the stress and pressure regarding performance during trading, and the emotional part is the most difficult. Do you know this story of a trader who made 200 BTC out of 3 BTC but eventually lost everything? I think we heard the legend on Reddit. Yeah, I heard the story. I actually have a friend who accumulated 150 or 200 bitcoins but ended up losing nearly all of them. It was when bitcoin was around 2-3 thousand, something went wrong with his Poloniex account and… yeah… yeah. Often things like this happen. People start with a few bitcoins and use leverage. They think it’s gonna work but usually, it works only at the start. Especially if you begin trading in such a bull market as we observed last fall, it affects your understanding of what trading actually is. This is also why I started trading forex. In this regard, do you read resources like Reddit? Where do you get the news or inspiration? You seem to have a large follow account on Twitter too. Yes. When I started trading crypto, there was not much price action analysis done on Twitter. As I moved to price-action trading, I watched different YouTube videos to get an understanding of this concept and came across TraderSZ. When I made a few bucks following his reasoning, I understood that the stuff isn’t random. Currently, I’m in his group in which he provides insights on his take of the fx market. He has quite some experience, so it’s nice to be able to see the actual execution of trades in real-time besides just analyzing a chart. Everyone can draw the same levels, how you act on it makes the difference. I think it can help in various ways. I’m still too stubborn to just blindly follow someone else’s chart (laughs), but the reasoning behind it pushes the way you think about the market yourself. Besides the TA, it’s nice to be able to chat a bit about the mentality behind it too. What do you think of HFT? Do think that bots are going to take over? HFT is getting more and more volume and attention. People are trying to use it. Although HFT share will continue to increase, there always will be human participants because people like to make money and they like looking at a chart and make decisions based on them. So I think that the whole trading concept won’t change. What is interesting is to see how HFT will interact with each other. You mentioned that you played poker before. Crypto is definitely stressful too. How do you deal with stress? What is your secret to staying calm? This is when I realized the real emotional aspect of it as well as the psychology behind it. I think what helped me the most at the start was having two roommates of mine who got into crypto around the same time. If I were the only one and watched the price going up and up, I probably would have sold earlier. But since we were all in this together, we experienced the same growth. You can relate to each other; you are not that easily panicked. If you do it on your own, it can give emotional swings. So it’s better to join chat rooms so you can relate to other people. To me, having a solid reasoning for why you made the investment allows you to have ease in holding your investment. At some point, the price went up pretty fast, and I decided that if I would just take out something every 100 euro disregarding the actual TA, I would be more comfortable holding the rest since it’s not your whole stack that is subjective to the volatility. I cashed at 500, 600, then 700 and still left the major portion open. While this was far from the top, having the ease of mind that parts of you’re profits are realized makes you less emotional for the rest of your investment. With the amount of volatility brings, you can expect most levels to be retested, which we’ve seen lately, especially with the crash of ETH to 250$. Having some fiat ready to be able to buy some dips can even allow you to accumulate more, so taking profit is a win-win for me. If you’re feeling uncomfortable, taking profit is the right thing to do and no one ever went broke for taking profit. 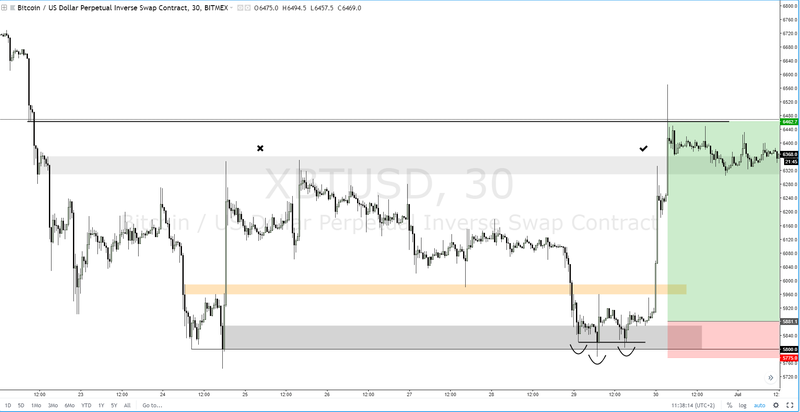 Doing so at predetermined levels doesn’t make you rely on TA if you’re not fully comfortable with that, and doesn’t give you the feeling that you have to decide over certain amounts since you won’t regret taking some out anyway. It’s a great tip for “hodlers” and newcomers to crypto. Yeah, it’s much easier if you do not hold the entire amount because if the price drops significantly, you can bear it. I think that helped me the most along with relating to other people in the community and having some friends going through the same. Realizing profits also makes it real instead of just seeing the number on your ledger and makes you appreciate what you have. Being able to go to New York with those 2 friends who got in around the same time and not worrying much about, or helping your mom with a downpayment is a blessing. And the last question for you, Karel: would you like to meet Satoshi Nakamoto? If yes, what would you ask? Yes, for sure. That would be especially interesting to know if he expected this [current market size and diversity] to happen. After all, it’s the beauty of decentralization: nobody knows where it heads.